Congratulation. In July of 2017, Beston biomass carbonization machine has been shipped to Uzbekistan. Costumers of Uzbekistan are our old friends, and before that, they had bought our waste sorting machine, and they were very satisfied with the machine’s structure and quality. So at the beginning of 2017, when they had the need of biochar production equipment, they contacted with us immediately and came to Beston Group for second time. 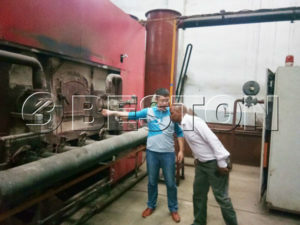 Then we led them to visit our carbonizing machine and provide different models of biomass pyrolysis machine. After a series of tests, they also expressed their own requirements on the quality of charcoal, efficiency and structure of the machine, and our technicians also promised that we would try our best to meet their standards and provide the best services for them. The whole communicating process was perfect. We have had a long term cooperation with Uzbekistan for all the time. 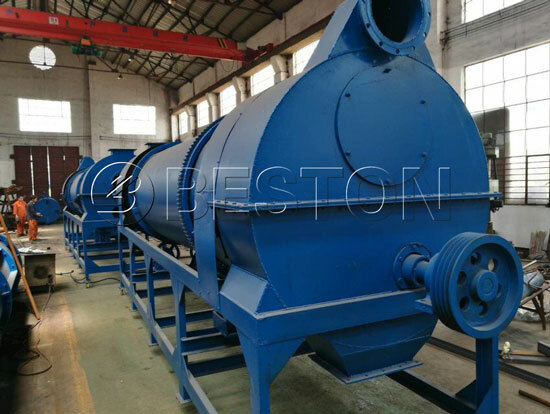 Beston biomass charcoal making machine can process various biomass wastes, such as coconut shell, rice husk, wood chips, palm shell, sawdust, straw, etc; sorted SMW, sewage sludge, etc. Our machine can improve local environment, promote economic development.